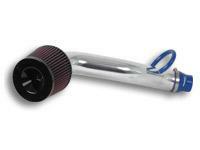 Vibrant StreetFlow Air Intake System - Dezod Motorsports Inc - Home of the automotive performance enthusiast since 2002. Vibrant STREETFLOW Air Intake Systems are designed to produce susperior horsepower, torque and throttle response by providing cooler, denser air to your motor. 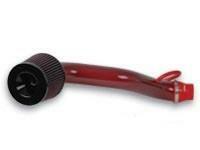 STREETFLOW Intake tubes are CNC mandrel bent for smooth, unrestricted air flow and a precise fit. Each kit includes a Classic Series air filter, featuring a re-washable and reusable 4 ply cotton gauze filter element as well as an integrated velocity stack for superior air flow. A comprehensive installation kit is included, consisting of reinforced silicone couplers, silicone vacuum hoses, S.S. worm drive clamps and sturdy mounting brackets.